Cleveland Chemical Pest Control Inc. 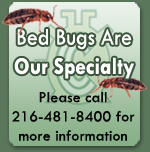 Servicing the pest control needs of Northeast Ohio. © 2015 Cleveland Chemical Pest Control, Inc. All Rights Reserved.